WASHINGTON — The International Monetary Fund on Tuesday downgraded its outlook for growth in the United States, Europe, Japan and the overall global economy and pointed to heightened trade tensions as a key reason. 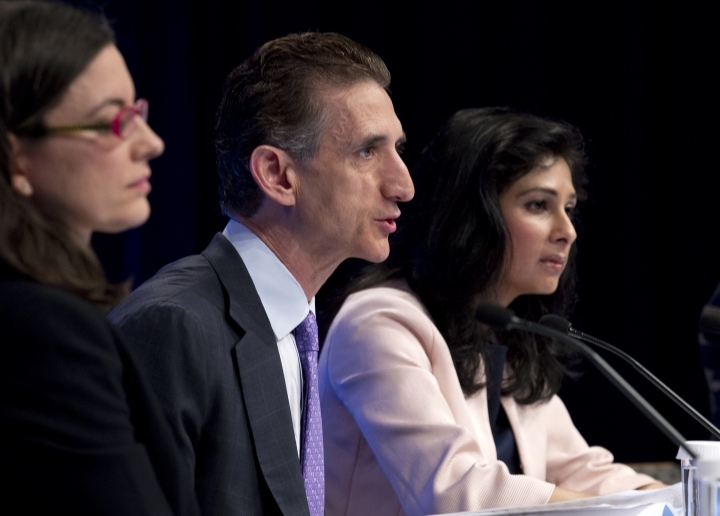 The gloomier picture in the IMF's latest World Economic Outlook contributed to a selloff in stocks, with investors concerned that slower global growth could weaken corporate earnings. It comes on the eve of meetings in Washington this week of the IMF and its sister lending organization, the World Bank. Those meetings are likely to be dominated by discussions of how to combat growing risks to international growth. 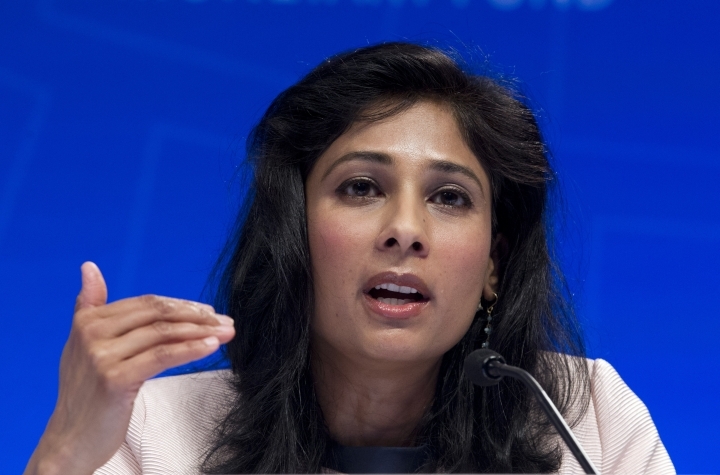 "This is a delicate moment for the global economy," Gita Gopinath, the IMF's chief economist, said at a news conference, while cautioning that the fund does not foresee an international recession. Gopinath said it was "imperative that costly policy mistakes are avoided." In particular, she highlighted the need for the world's two biggest economies, the United States and China, to find a way to resolve their trade war, which has intensified global economic uncertainty. If trade tensions worsen, Gopinath warned that it could trigger "large disruptions in global supply chains." In Europe, the IMF expects the 19 countries that use the euro currency to expand 1.3% collectively in 2019, weaker than last year's 1.8% growth or in any year since 2013. Japan is expected to eke out 1% growth this year, up from 0.8% in 2018 but slightly down from the fund's earlier forecast. The IMF foresees the Chinese economy growing 6.3% this year, down from 6.6% in 2018. But the fund's latest 2019 outlook was a slight upgrade from the 6.2% growth it had forecast for China in January. China's prospects brightened, the fund said, after President Donald Trump decided to suspend a planned increase in tariffs on $200 billion worth of U.S.-bound Chinese exports. Still, the fund is expressing worries about tensions between the world's two biggest economies, which have traded tariffs on hundreds of billions of dollars' worth of products in a fight over China's aggressive push to supplant American technological supremacy. The prospect of Britain's messy departure from the European Union also weighs on the global economy. The IMF expects growth in world trade to drop to 3.4% this year — a sharp slowdown from the 4% it had expected in January and from 3.8% trade growth in 2018.